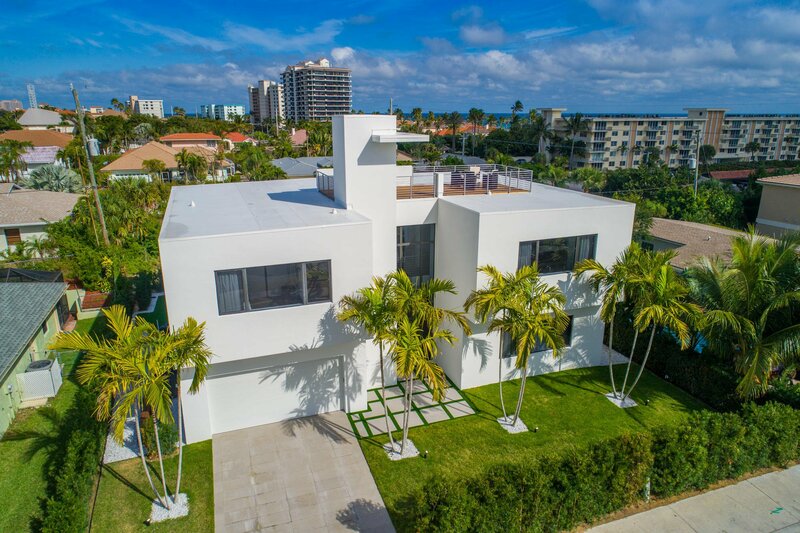 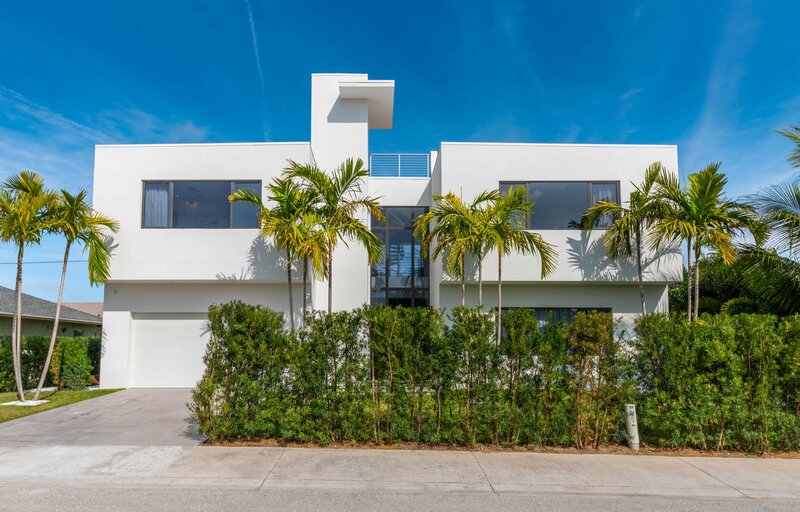 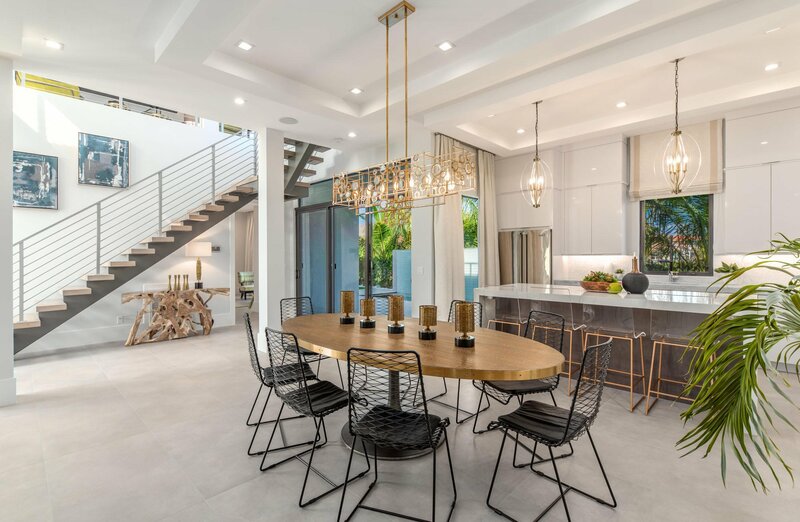 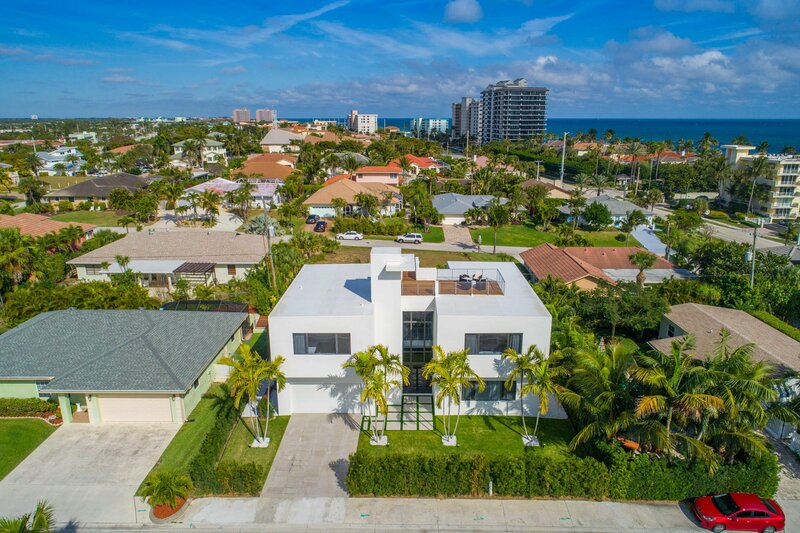 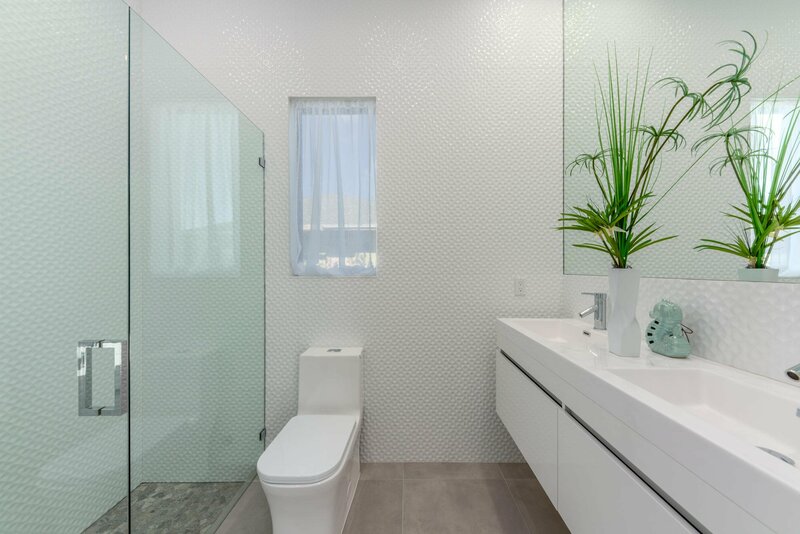 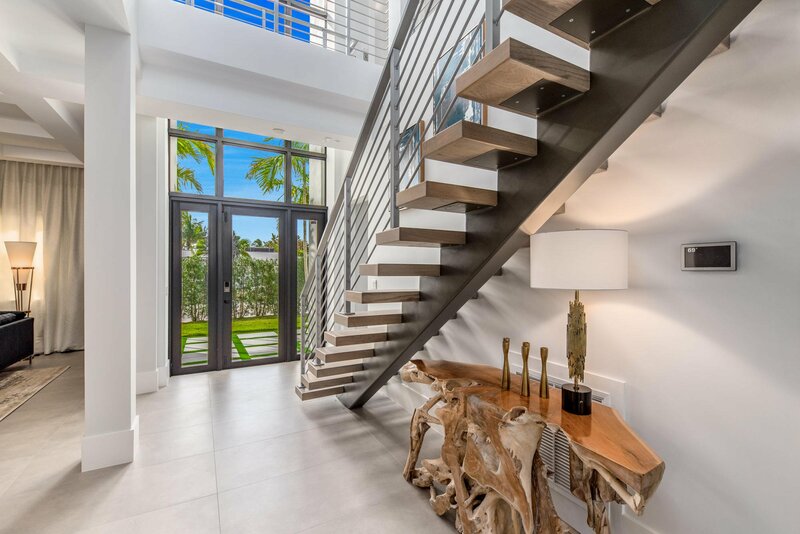 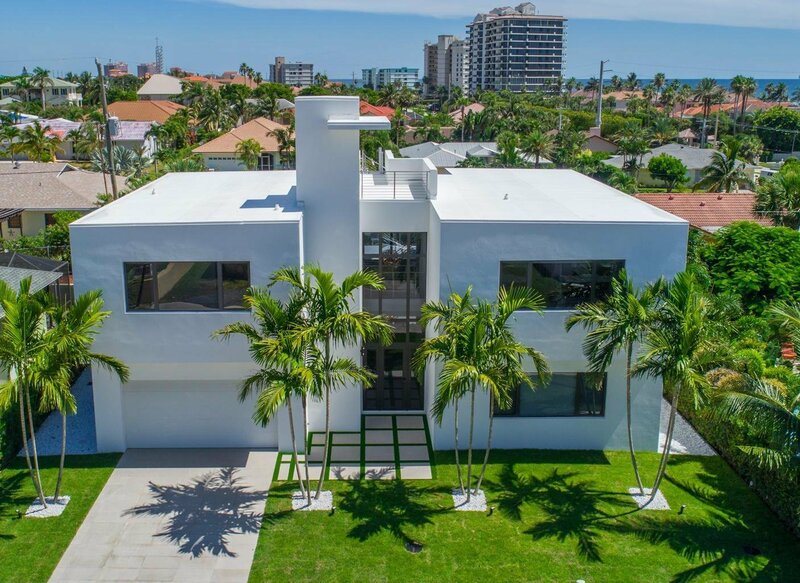 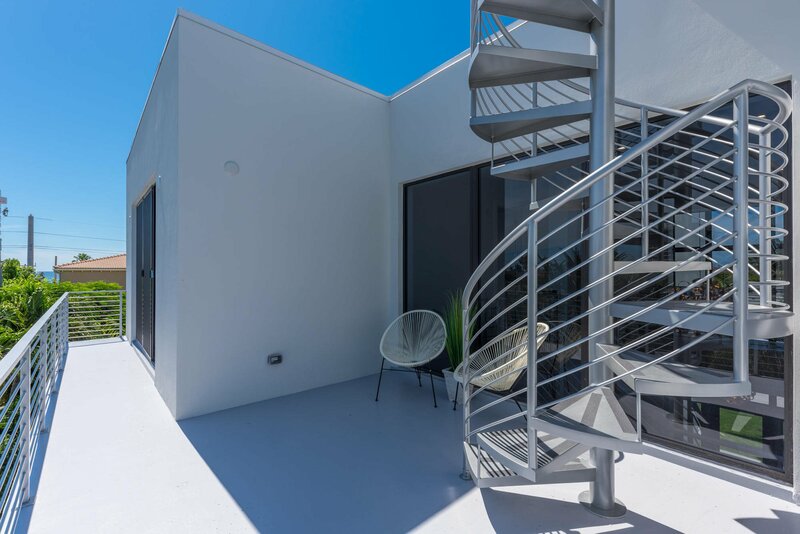 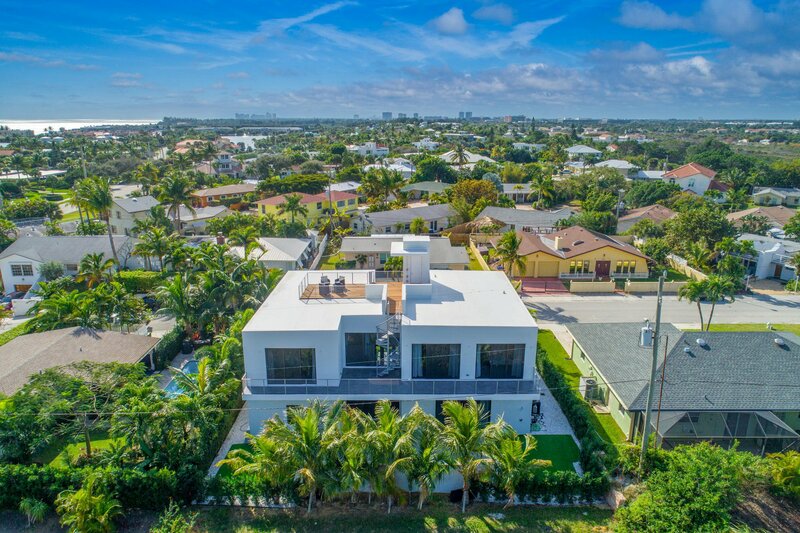 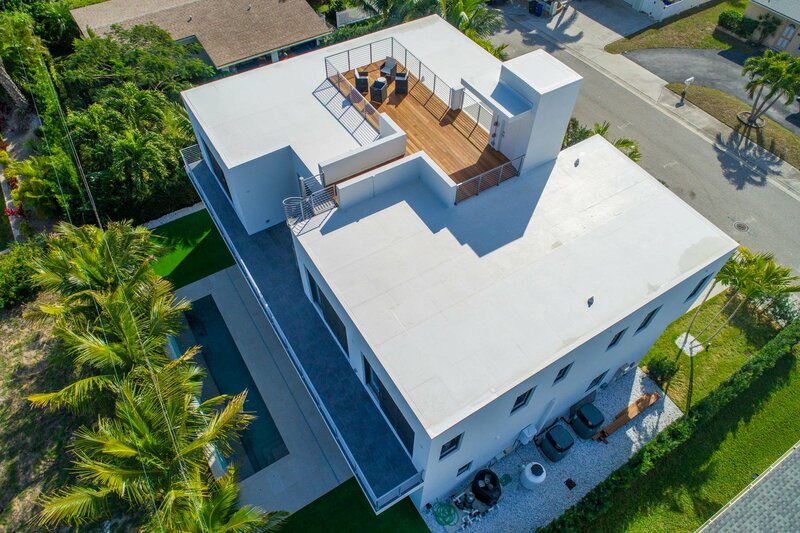 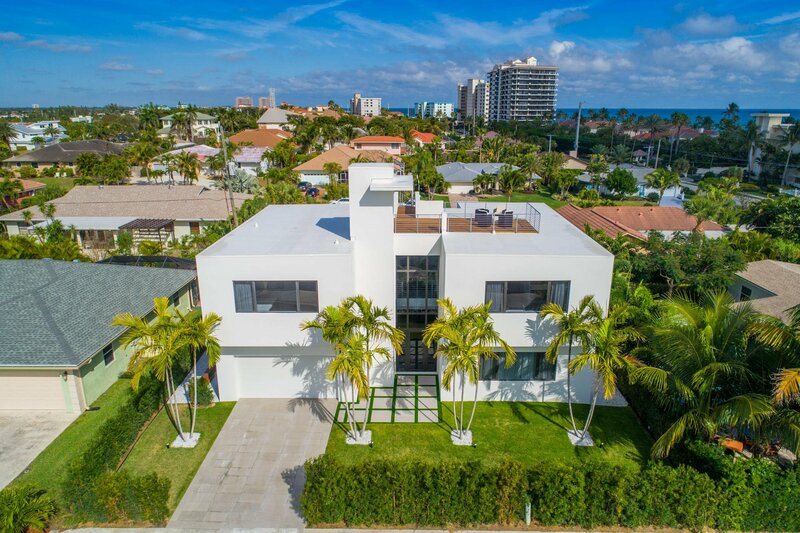 Rare opportunity to purchase modern new construction residence steps away from the sand of Juno Beach! 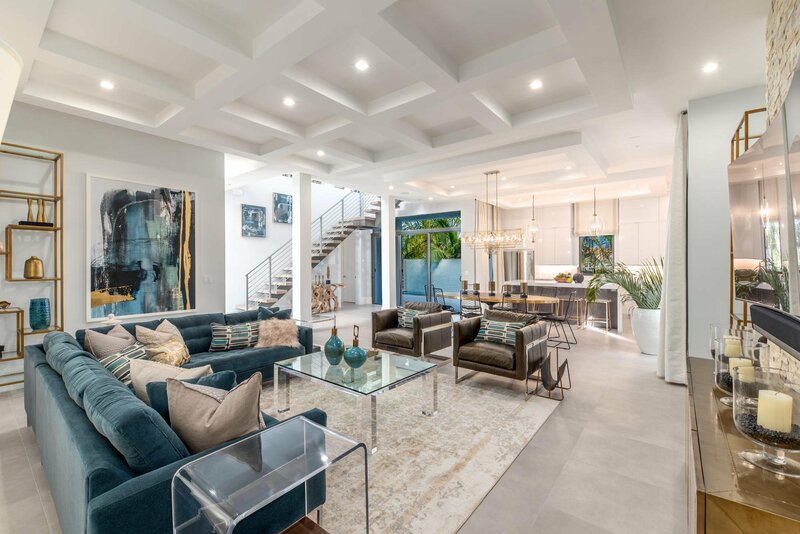 Designed with style, innovation and functionality, this FULL-TURNKEY 3,613 AC sf residence with 4 bedrooms with on-suite bathrooms, powder bath, over-sized loft, & 2 car garage pool home, being sold with brand new designer, high end furnishings through out and all new custom window treatments. 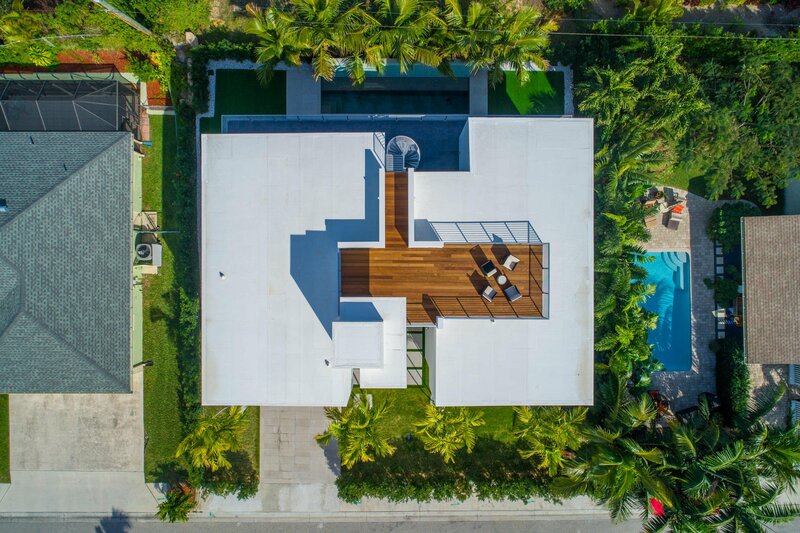 This residence features an open floor plan concept with high ceilings, an elevator that goes to the roof-top terrace. 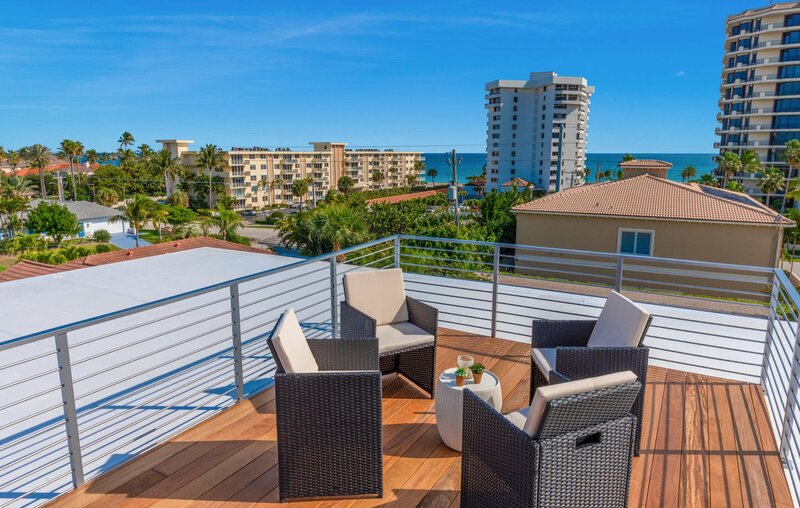 Enjoy nice ocean views from the master bedroom, balcony & rooftop. 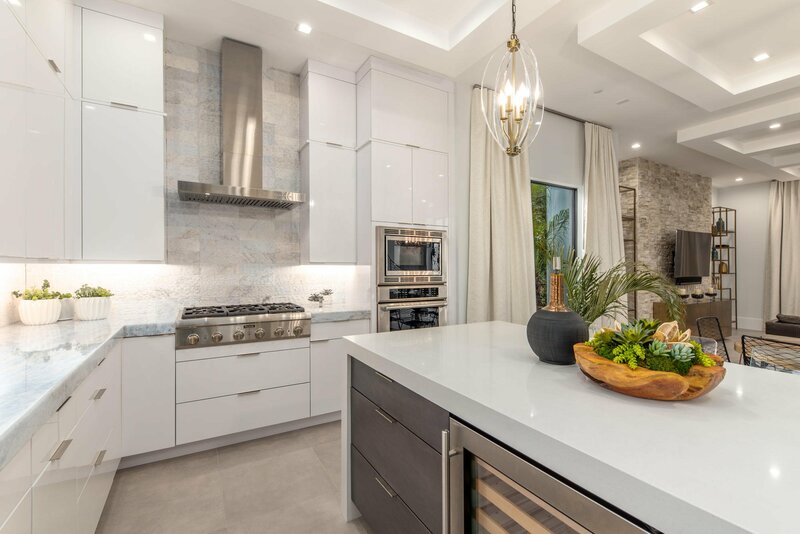 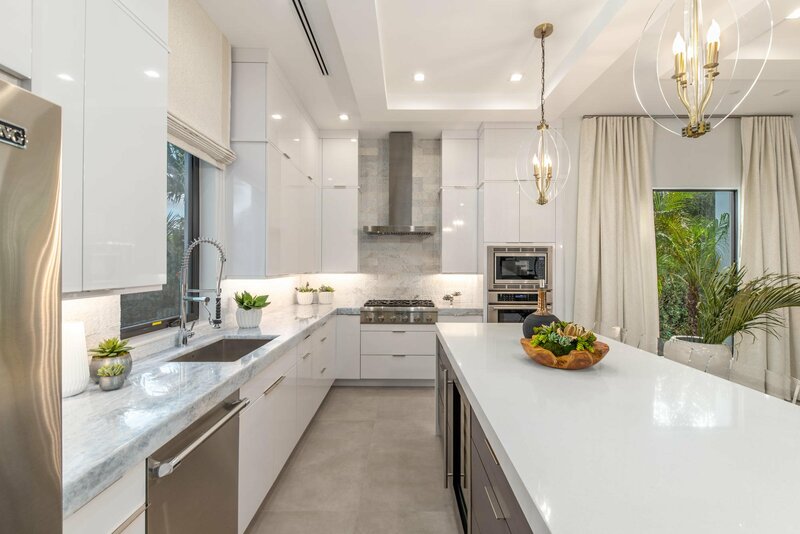 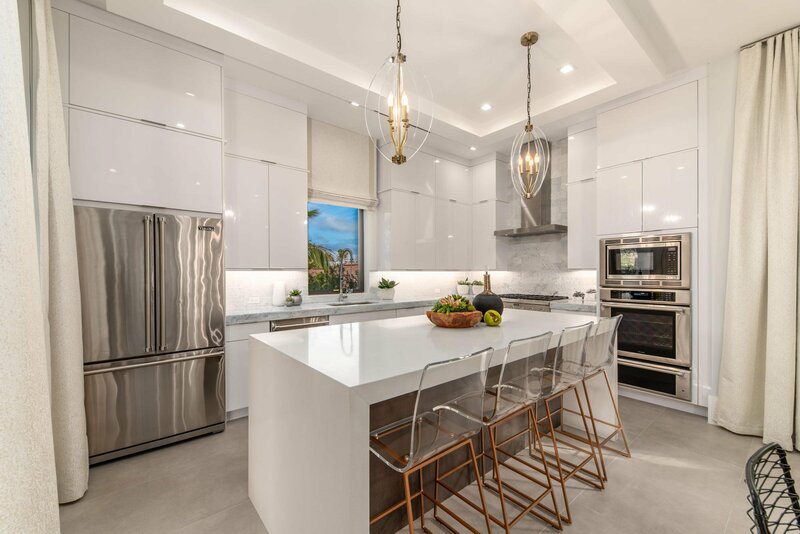 The gourmet island kitchen features modern designer white cabinetry with 6 cm azul calcite countertop on perimeter & extra white Caesar stone island with waterfall feature; SS Thermador 36 inch gas cooktop & triple combo built-in oven & Viking refrigerator. 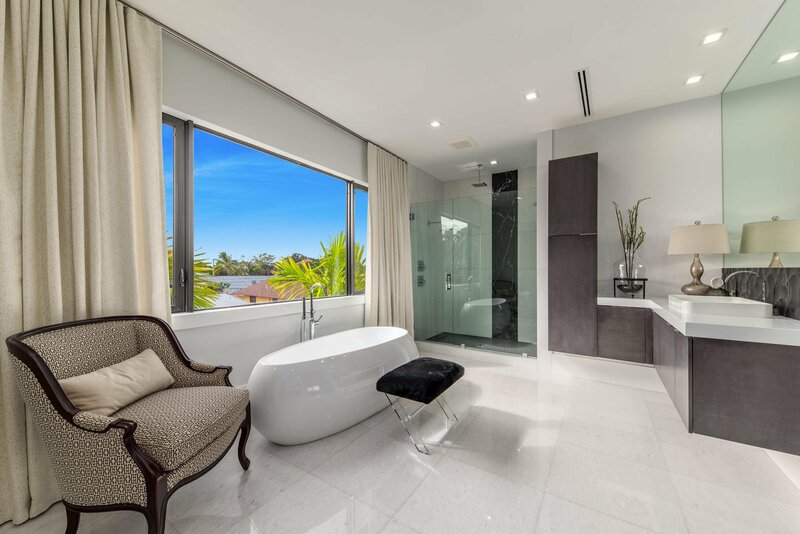 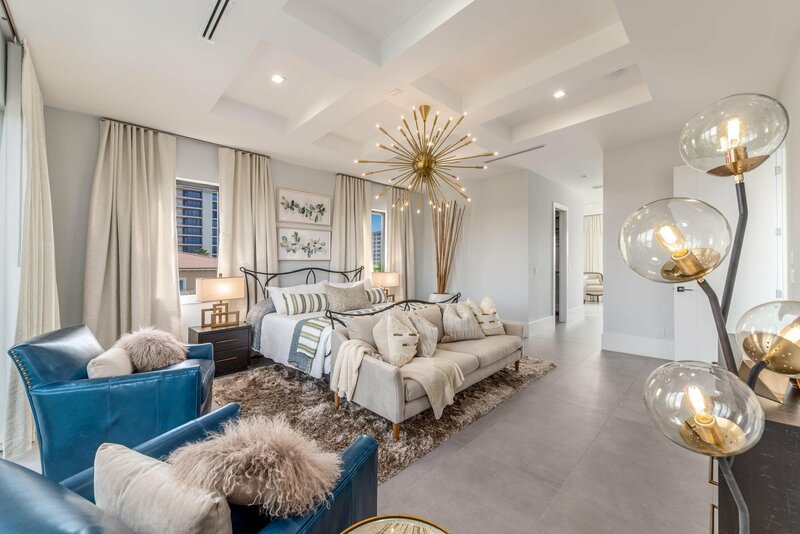 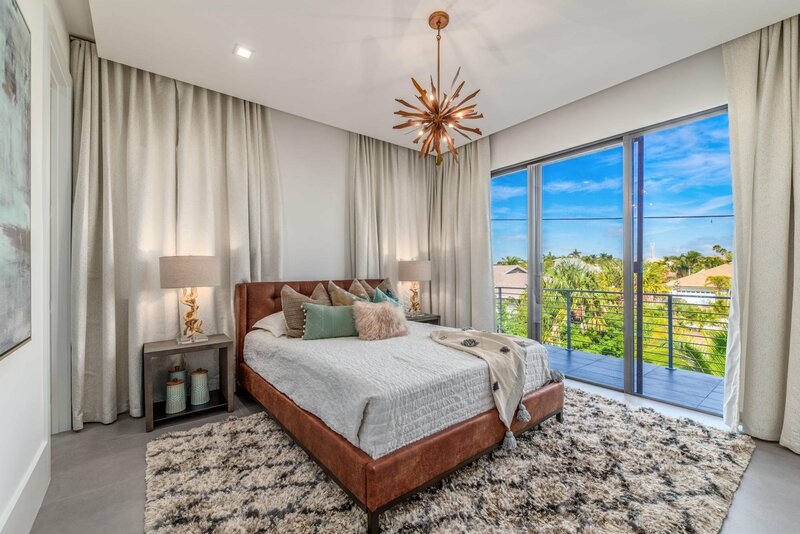 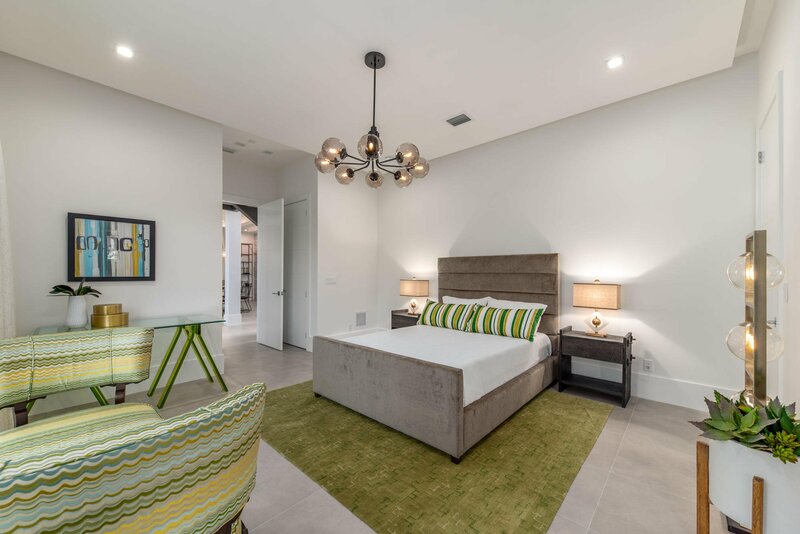 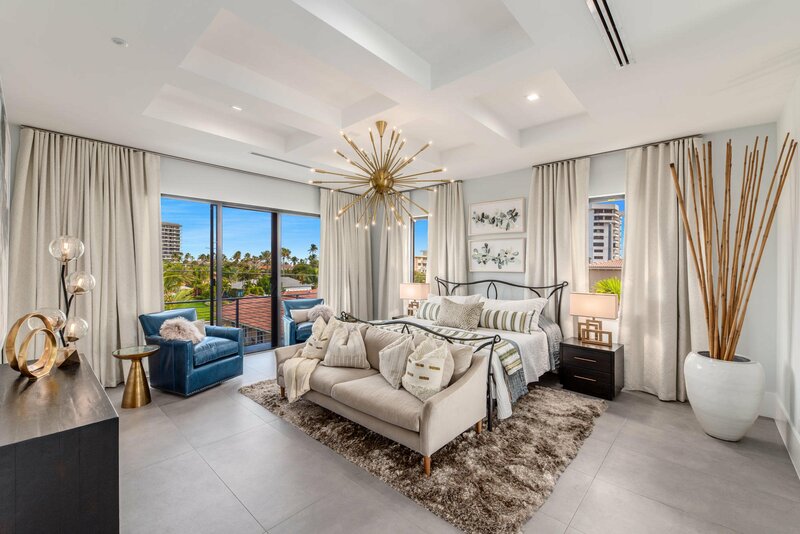 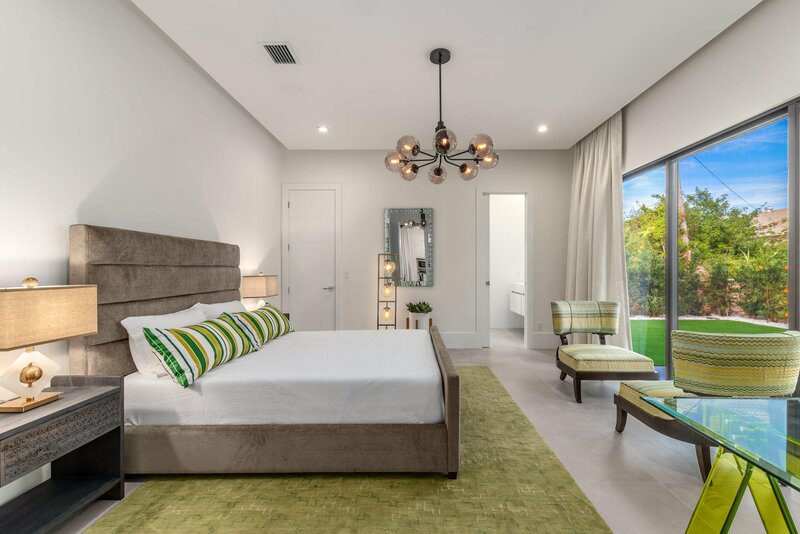 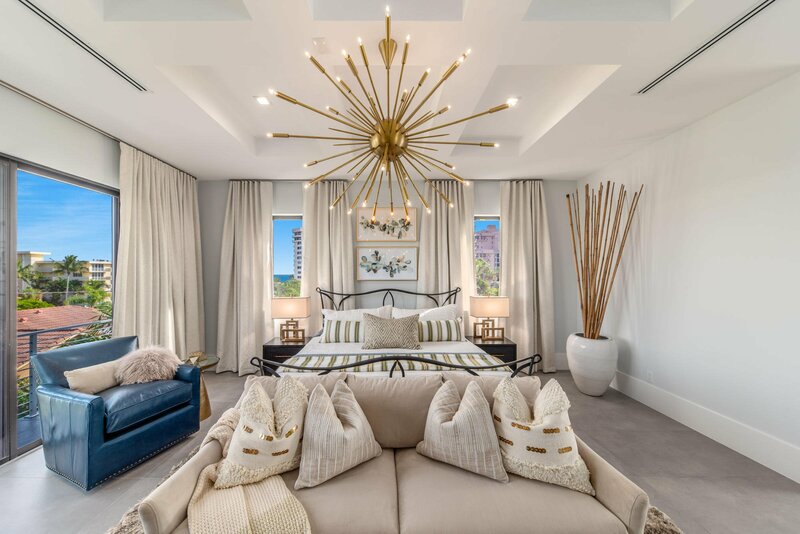 The master suite boasts of 2 over-sized walk-in closets with custom shelving, a luxurious bathroom setting, with his-&-her custom floating vanities, designer stand-alone tub & private balcony access with ocean views! 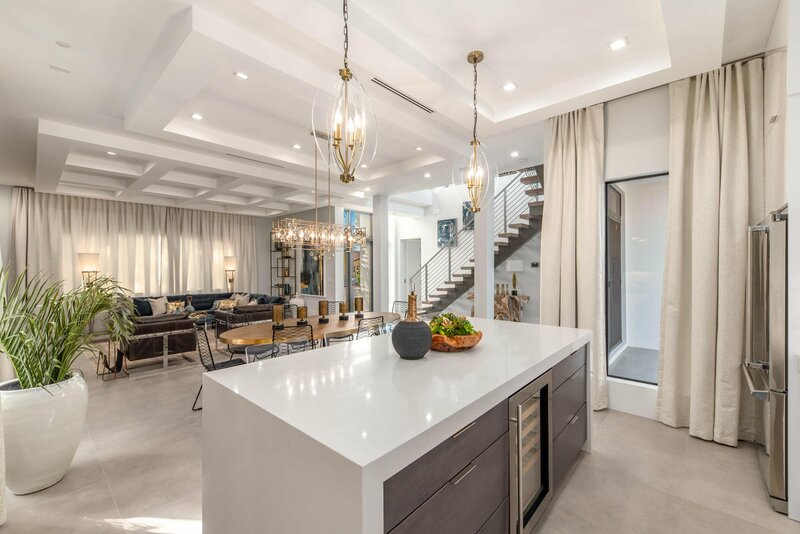 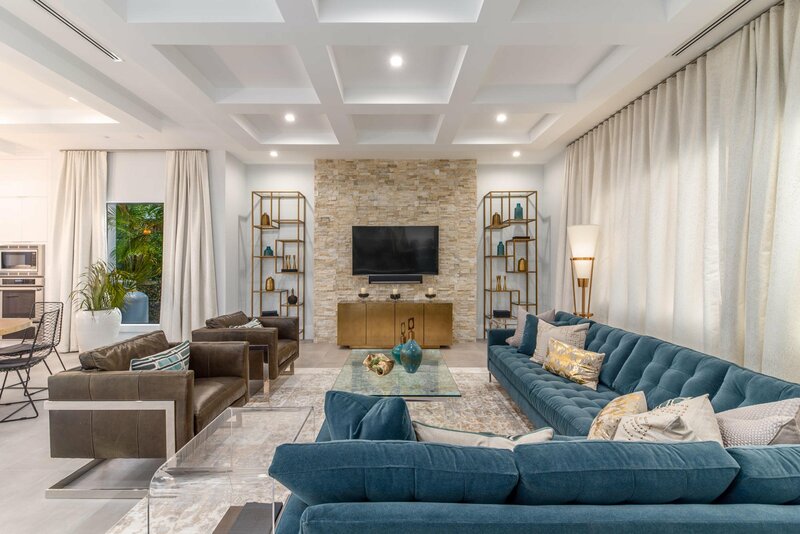 This home features the latest state-of-the-art smart automation system, Kirio that can be controlled by your wireless device such as iPhone, tablet, etc. 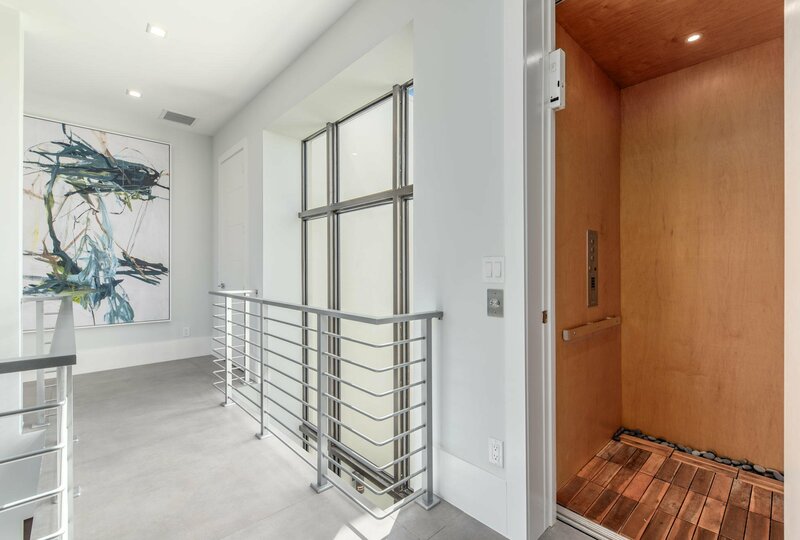 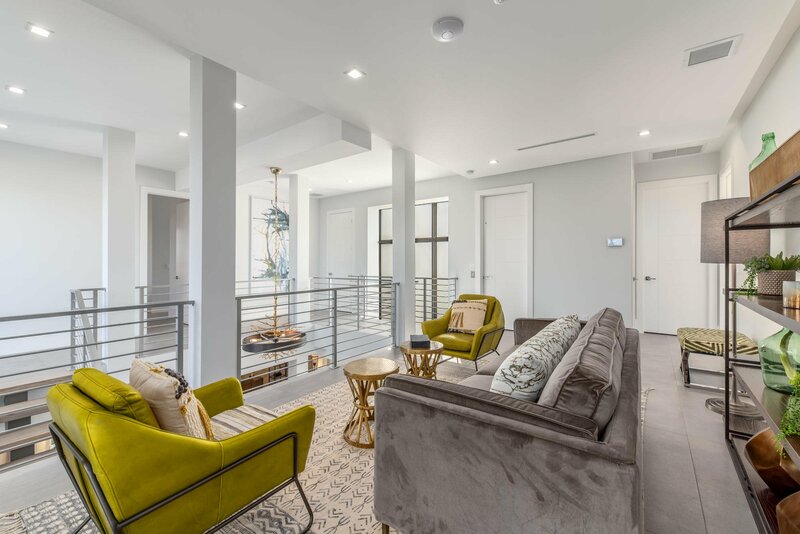 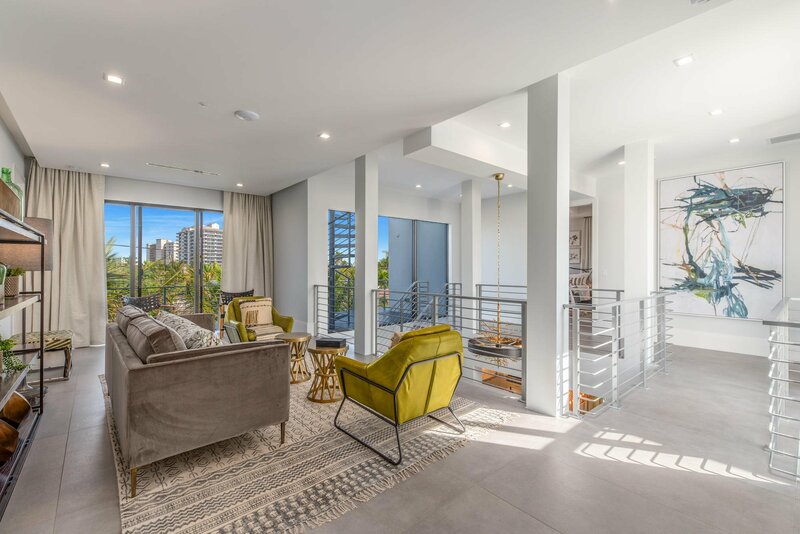 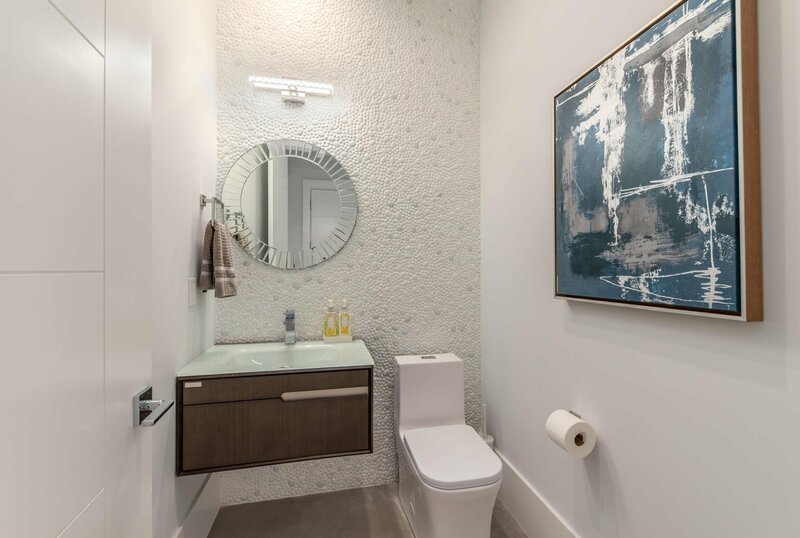 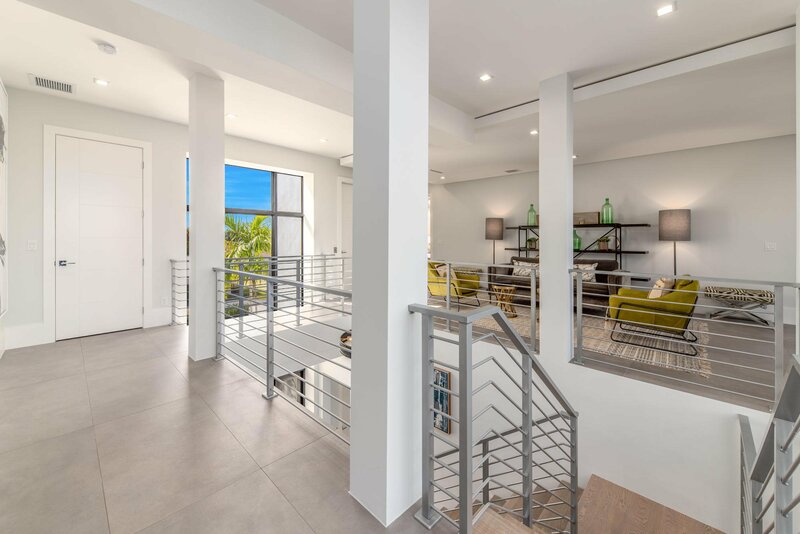 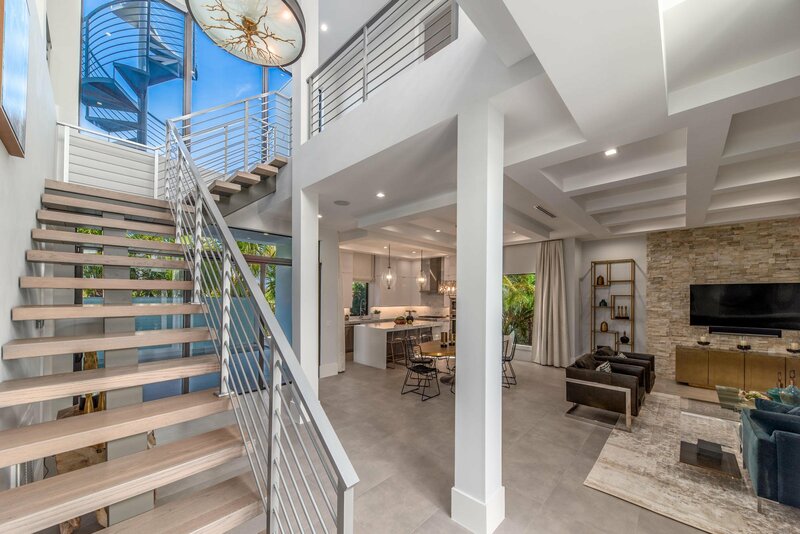 Built exceptionally well with all poured concrete & steel reinforced CBS tie-beam construction in the walls & between floors, using the Hambro system, the property is elevated about 27 ft above sea level, with hurricane impact resistant windows & doors throughout. 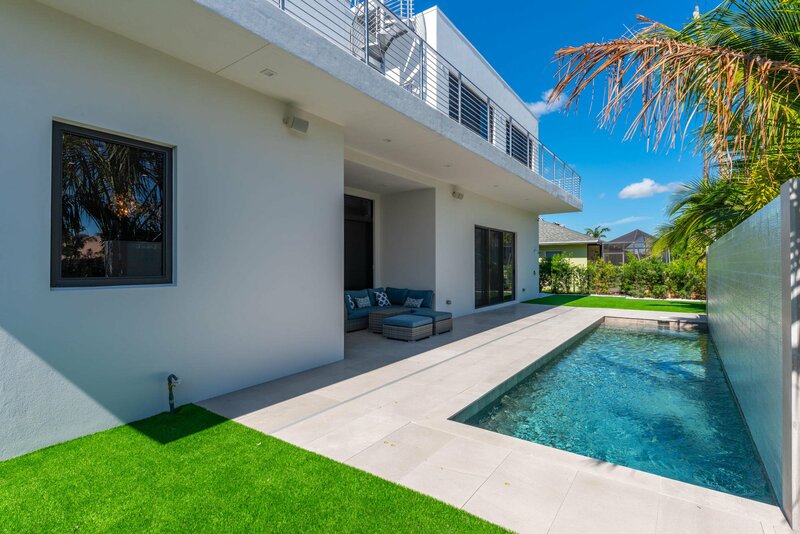 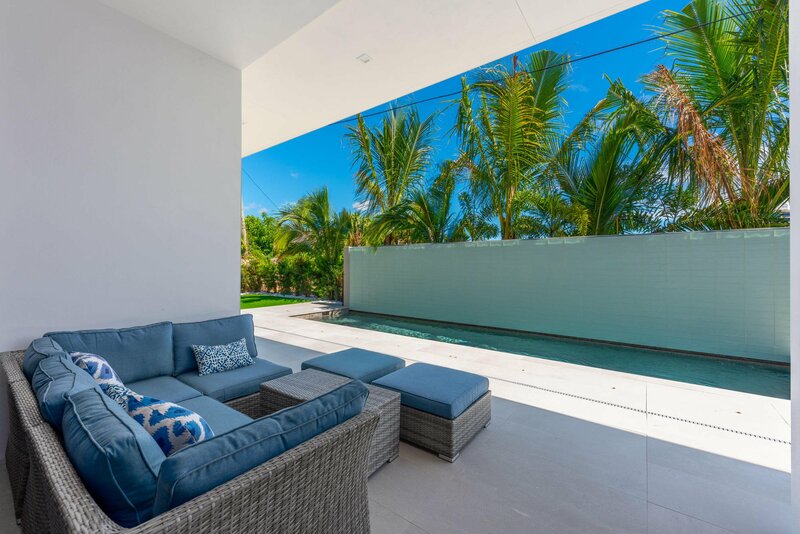 The private backyard setting features a heated salt water pool with decorative wall & the perimeter hedges & tropical palm tree landscaping compliments the clean lines of the house. 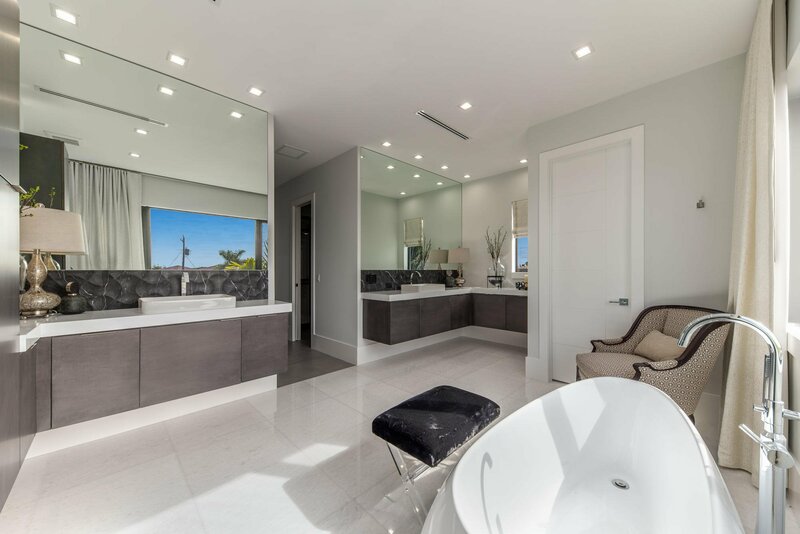 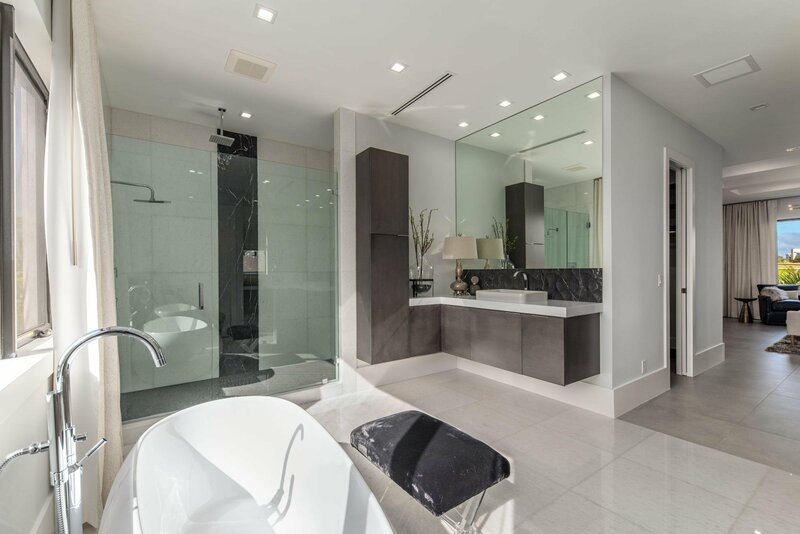 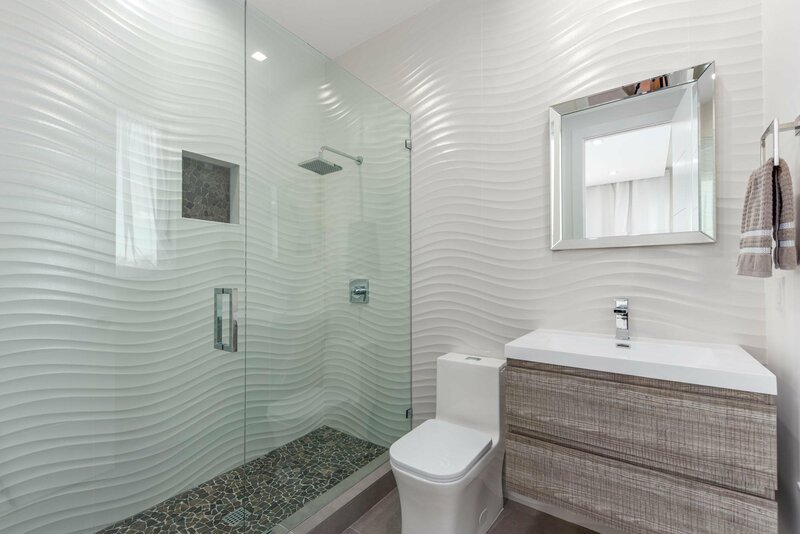 The entire home is a demonstration of the highest level of clean, contemporary finishes & the finest workmanship. 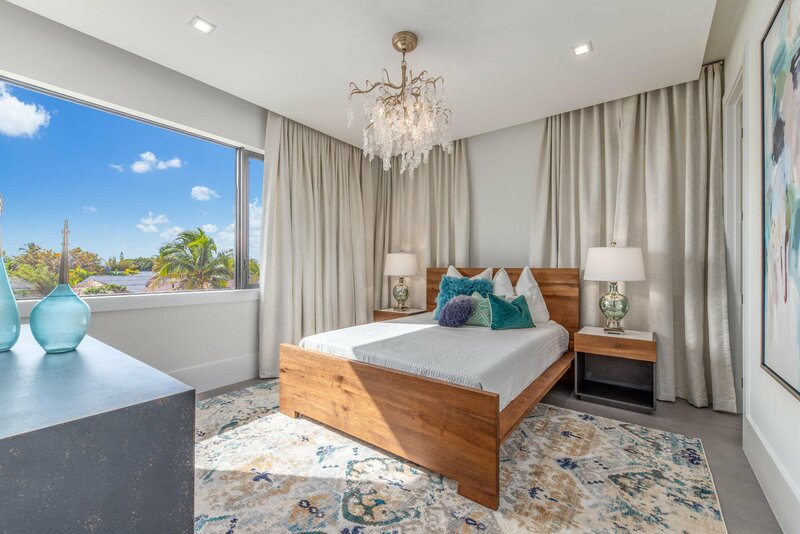 This home was just professionally furnished and decorated with exceptionally taste and style, and is now move in ready. 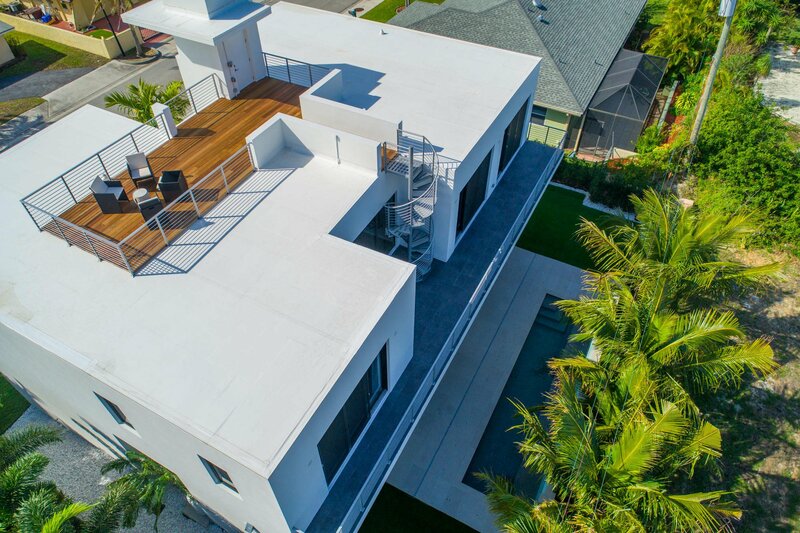 Other recent upgrades include extended ipe wood decking in roof top terrace; new custom fence and front gates to be installed, new frameless glass tub enclosure, 6ft front hedge and more. 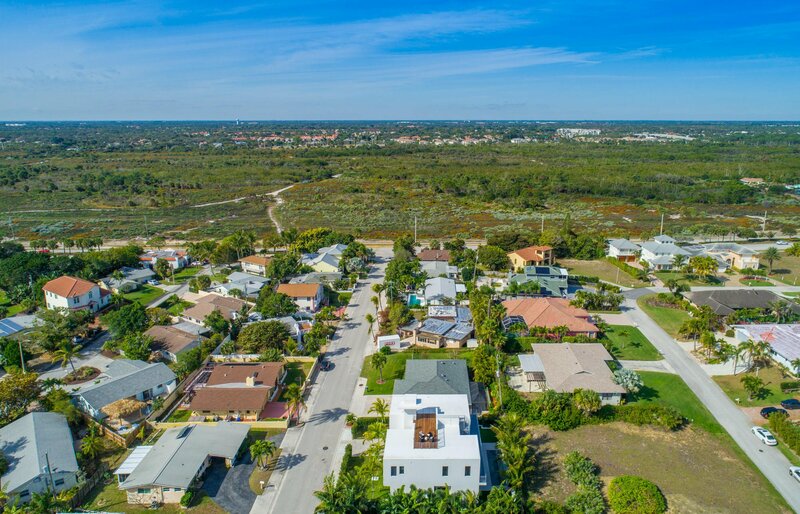 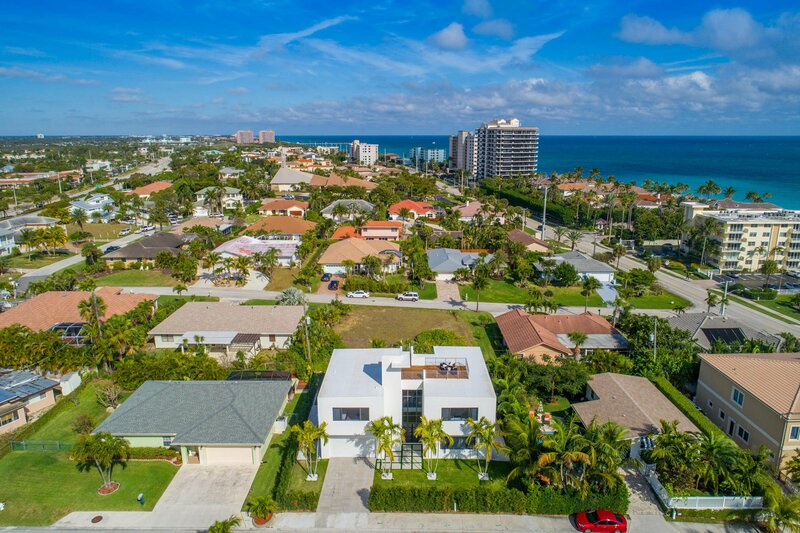 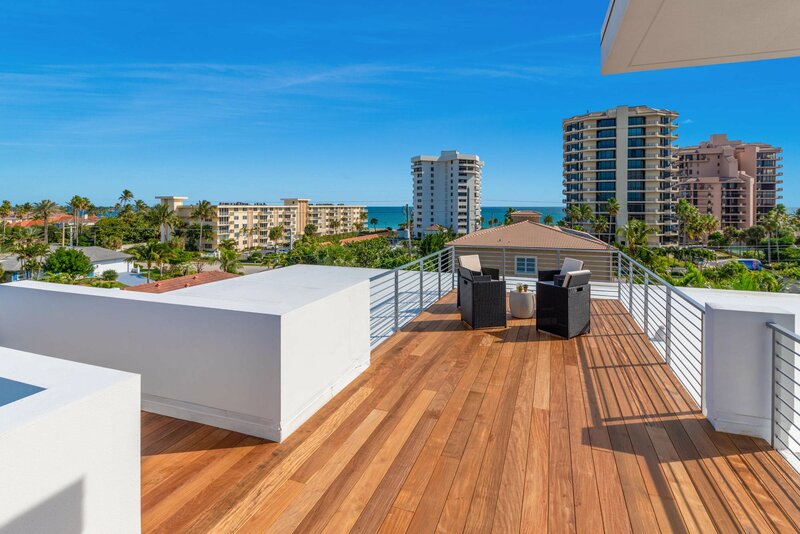 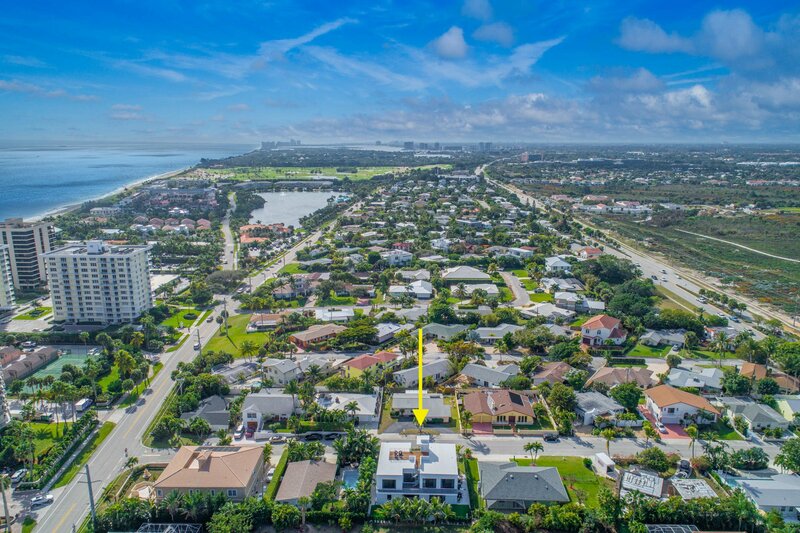 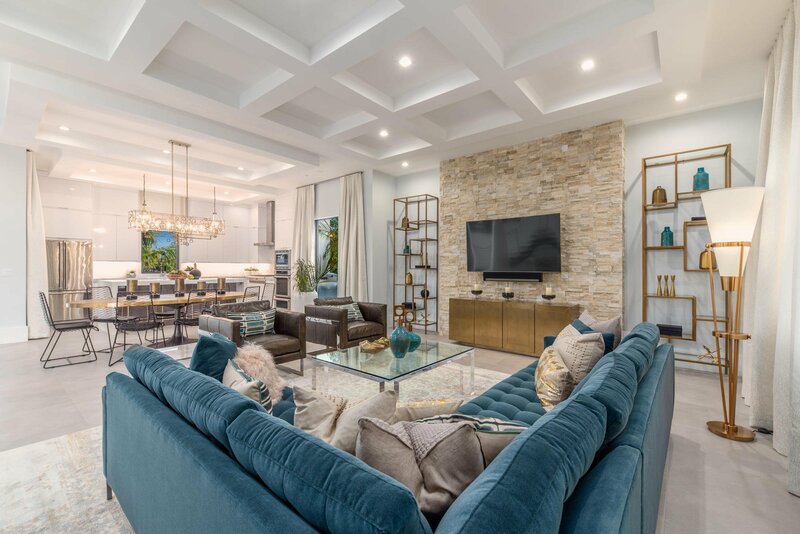 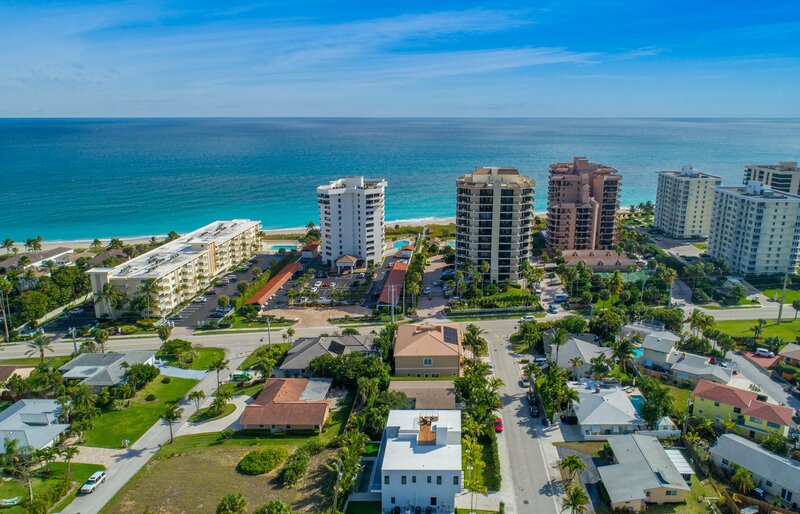 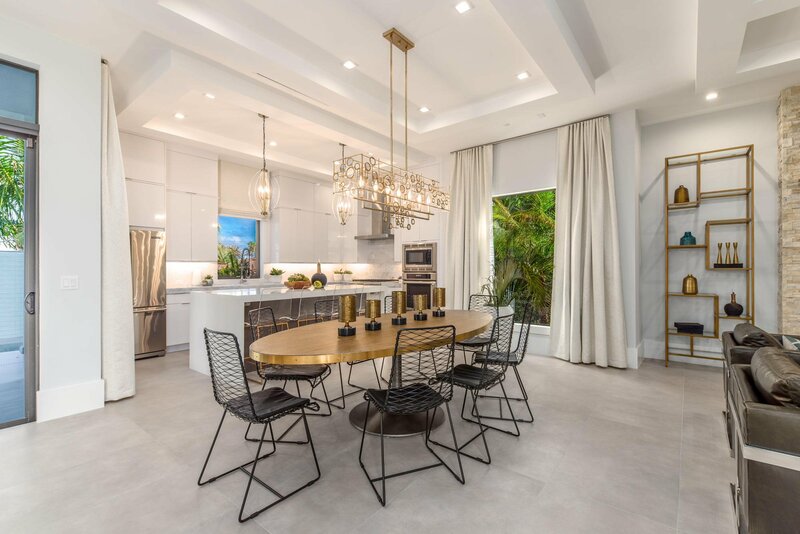 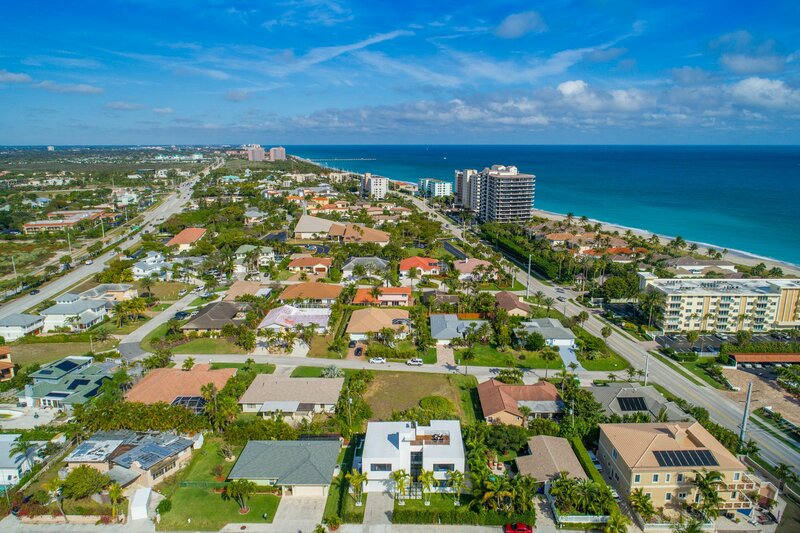 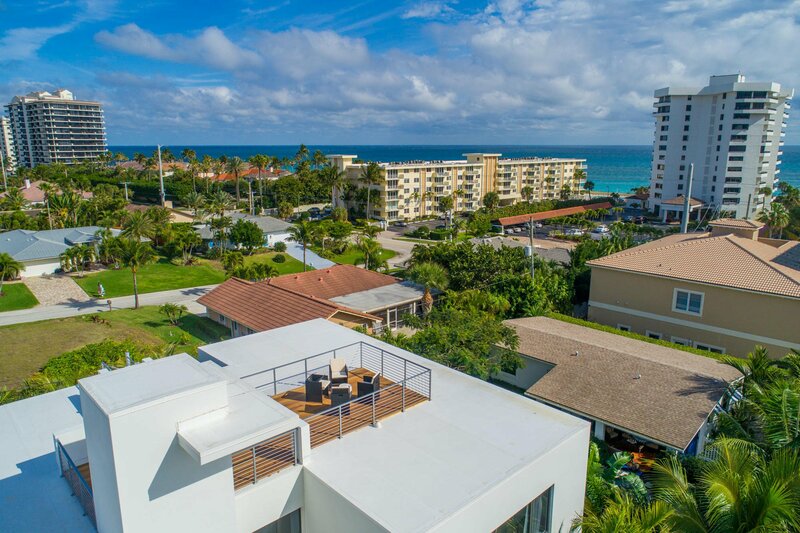 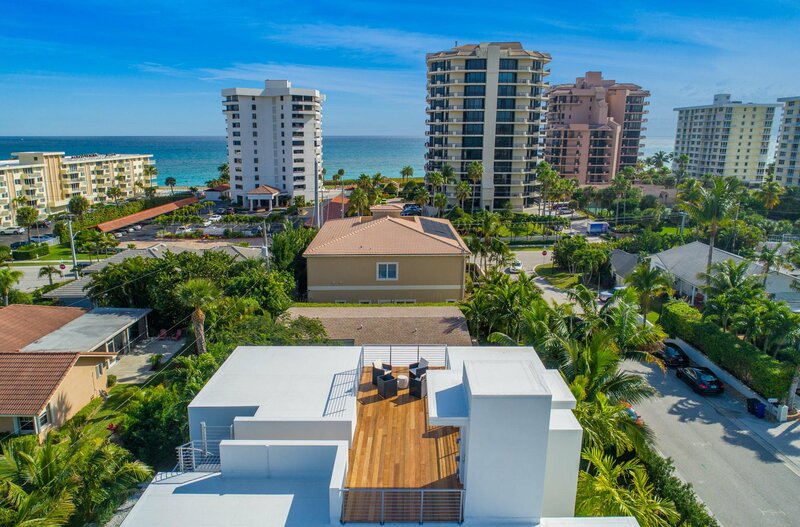 Exceptional location just steps from sandy beaches at Juno Beach, & a short drive to the PGA corridor with world class shopping & restaurants, & only 20 minutes from PBI airport. 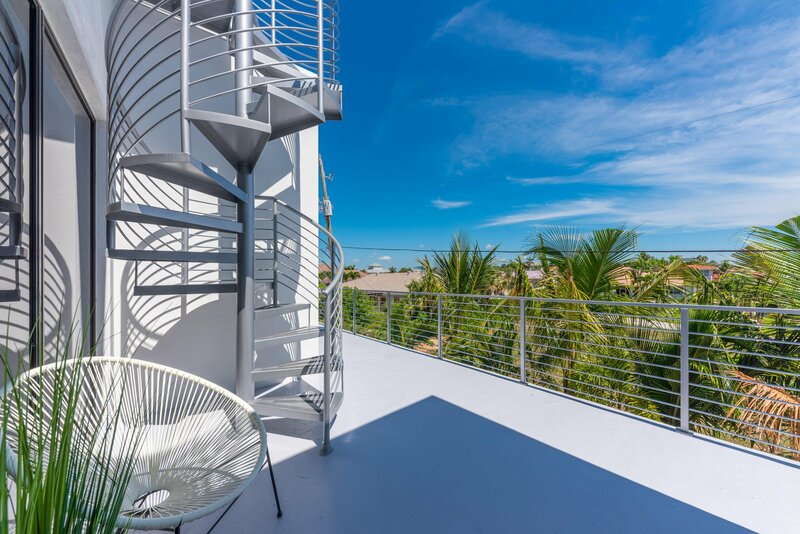 (table and 4 chairs on roof deck do not convey).